it needs not much to get a Second Download. Does it need to have a consultant? Not "a consultant". It needs "THE only one". It needs you, claiming to be Art Blue. 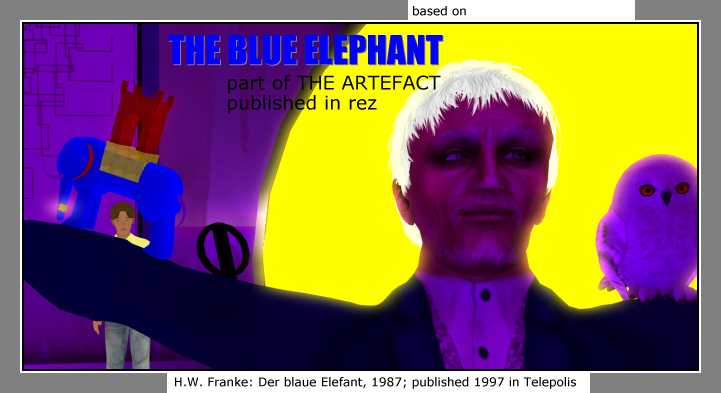 This is the message of the BLUE ELEPHANT. You don´t believe as you know that the internet is not the place for the truth? You want truth? See VULCANICUS. More than 60 artists made their way to a Second Download. Their art will stay for eternity. Finally THE ARTEFACT gets a reprint there. 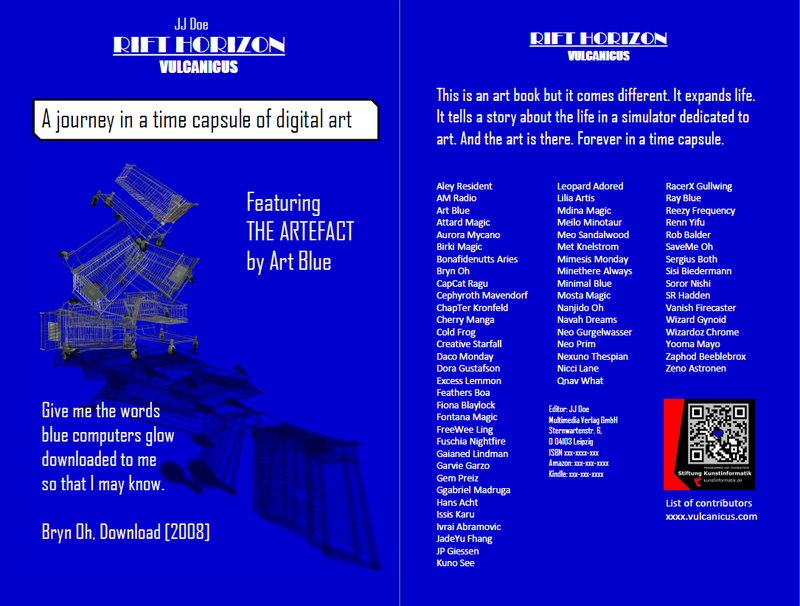 In this short story of Art Blue there are references to the artists and the pieces of art donated by them. How the story goes on you see in rezmagazine. 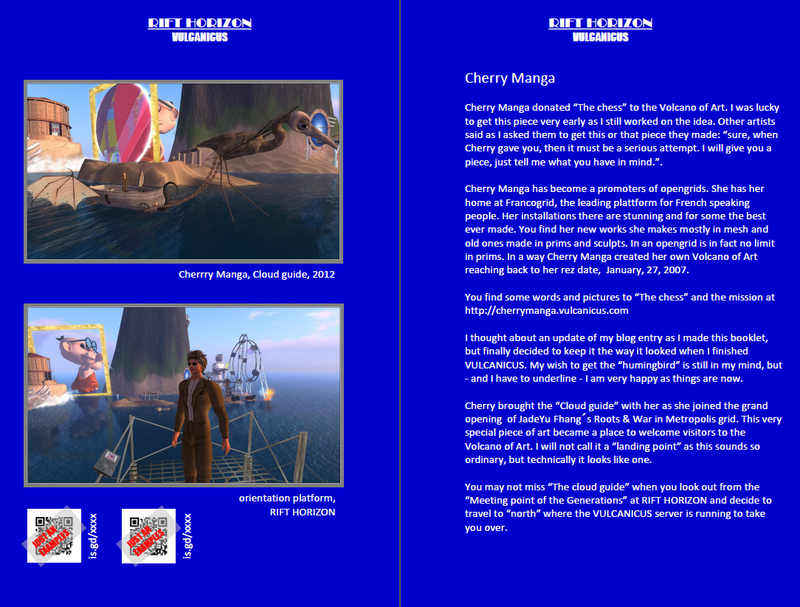 In this booklet "DOWNLOAD" the text will get a final layout, some new pictures are added and new reference will be set in. As the work on the booklet and all the web-references are still in progress. You may find for example no link on fennux or neruval on vulcanicus.com or rifthorizon.com -> sorry this is a DRAFT here. http://avatarkunst.wordpress.com/2014/04/09/crusty-rusty/ - also on Nerval you have to search. Just a hint: the owl was made by Tyrell Corporation. Of course! you may say, as you understand well the secrets that are in THE ARTEFACT hidden, but ready to be uncovered. For those of you who dont understand as fast why the owl could be made only by Tyrell: Enter in Google "neruval ..." "was made by Tyrell Corporation" and you may find the way to understand one more piece of THE ARTEFACT.